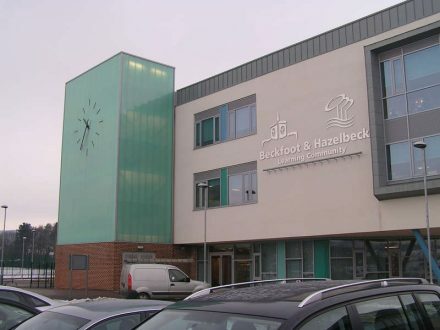 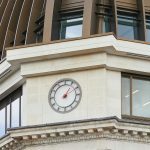 This 3.9m clock gives an identity to Beckfoot and Hazelbeck schools new building. 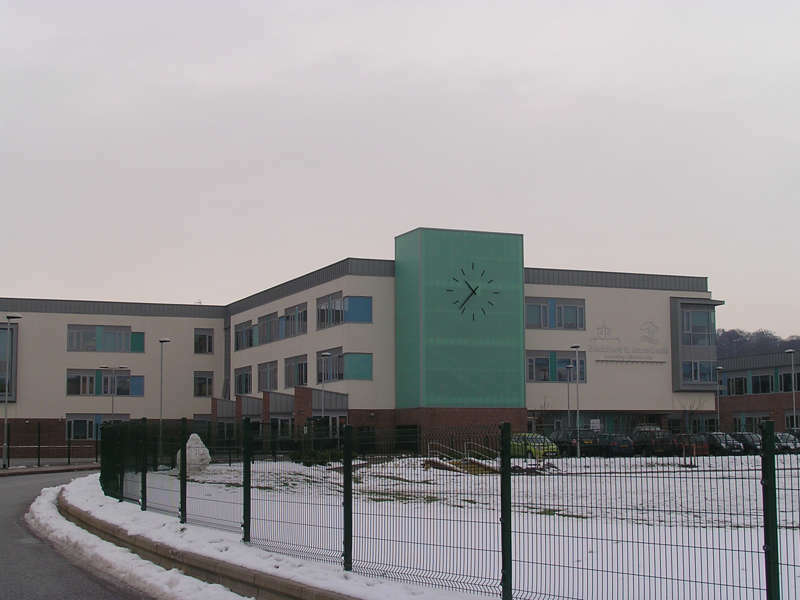 An initial sketch was sent to the design team at Smith of Derby from the architects working on the project. 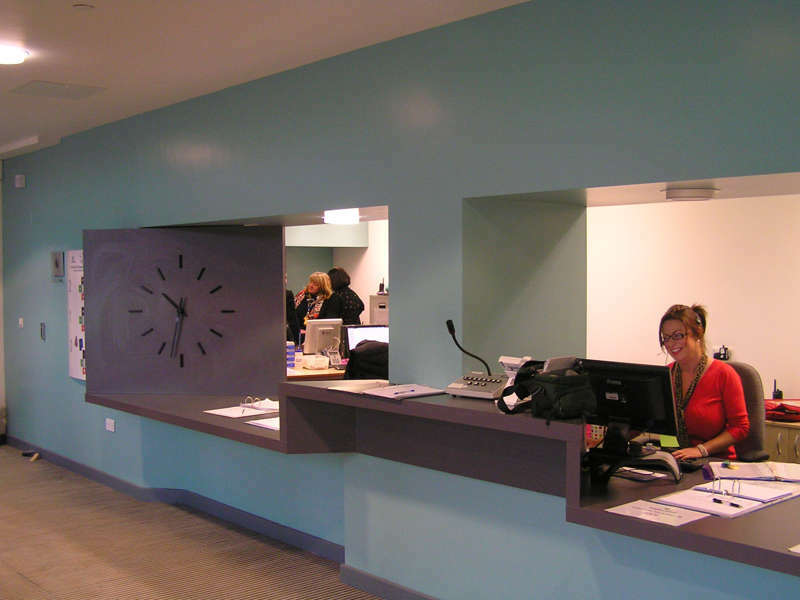 We integrated their ideas into a detailed design and drew on our experience of similar jobs to produce a striking yet affordable solution. 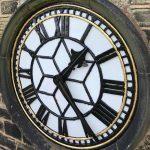 Keeping in mind the contemporary design, this clock was created from anodized aluminium and features 12 digits finished in black. 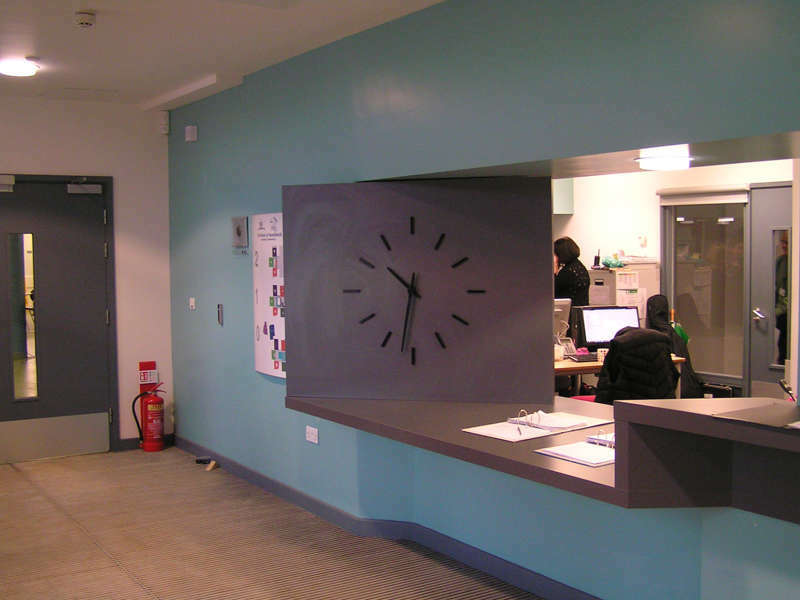 Every quarter digit is positioned slightly further out compared to the rest of the digits: a subtle touch informed by our experience of working with designs that need to be seen from a distance. Each digit is individually fixed to the green facade, giving the impression that the entire wall is part of the clock.